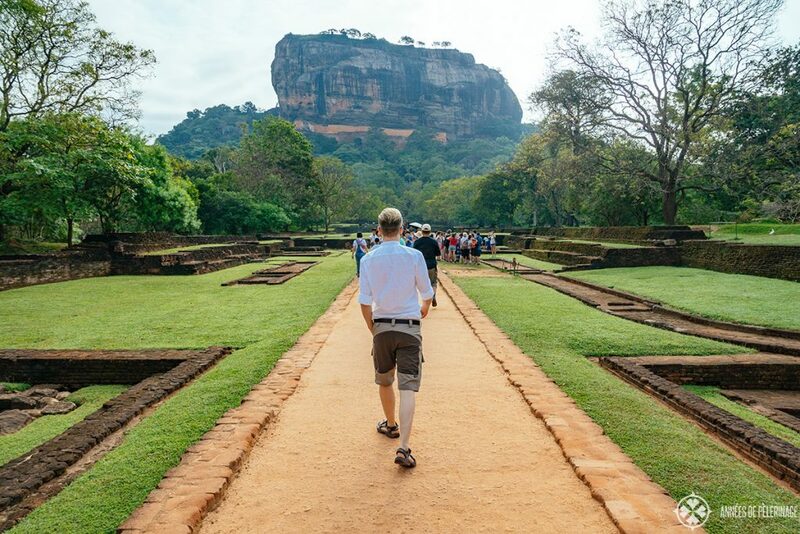 Home Travel Tips Is Sri Lanka safe to travel in 2019? Your definite guide to travel safety in Sri Lanka – numbers, statistics, recent terrorism, and first-hand observations. 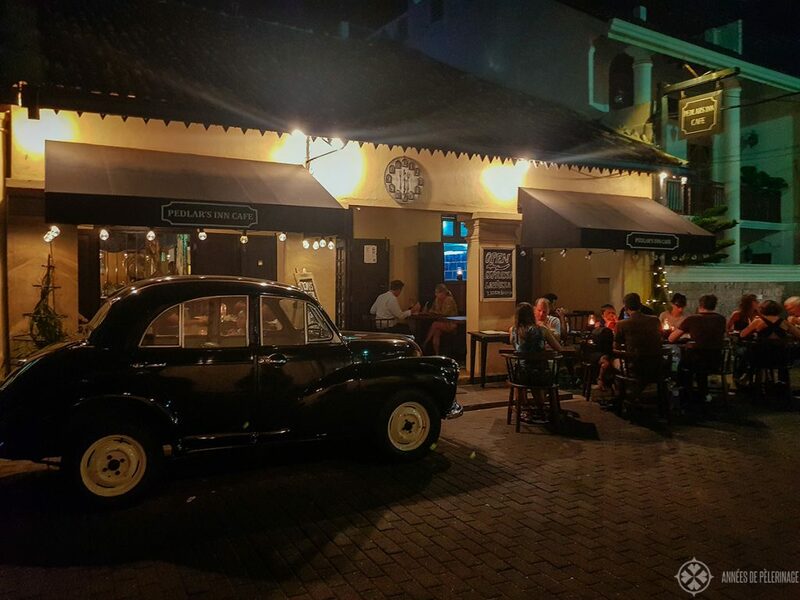 So, you are currently planning a trip, but you are not sure if it is safe to travel to Sri Lanka right now? Maybe you even heard some bad things about Sri Lanka and now you are worried how safe it really is? After all, there have been some horrible terror attacks in April 2019. Well then, fear not. I compiled this Sri Lanka safety guide all fo your. Just like my list of the 20 best places to visit, it’s a combination of first-hand experienced and sound data from official sources. I visited the country before and after the civil war, and I’ll share all my observations with you. The short answer ahead: Sri Lanka is still probably more or less safe to visit in 2019. But let’s dig a little deeper as there are a few things you should be aware of! Update April 2019: I wrote this article BEFORE the terror attacks, and updated it accordingly, and will continue to do so, as new facts and information emerge. 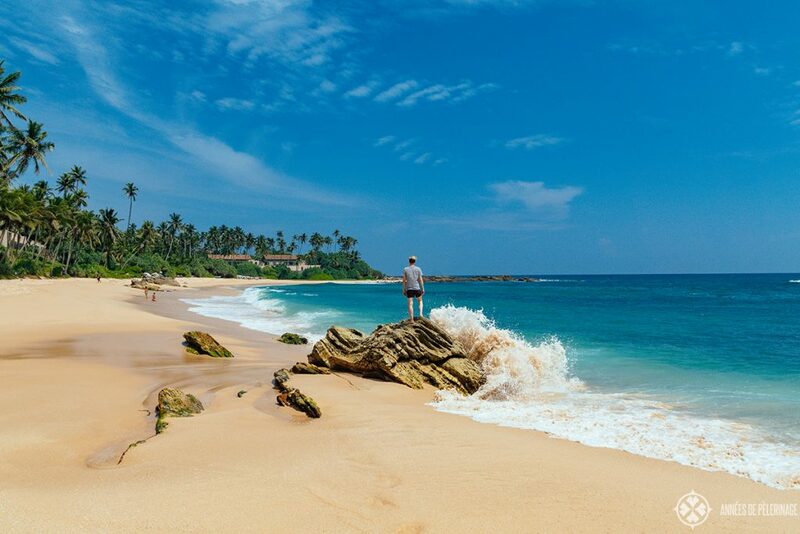 When you are walking along a tranquil beach along the beautiful South coast of the country in 2019, it’s very hard to imagine how anyone could every worry about visiting Sri Lanka. But there is no denying, that there was a quite bloody civil war going on for two and a half decades. Beginning in 1983, the Tamil National Liberation War only ended in 2009. I have to note that on my visit in 2001 (so almost 20 years ago), the last few days of our trip were filled with the constant sound of gunfire in the distance and the military escorted trip to the airport was something that had us literally fearing for our very lives – and with good reason! So, just how safe is Sri Lanka now? The days of war crimes and crimes against humanity are long gone. 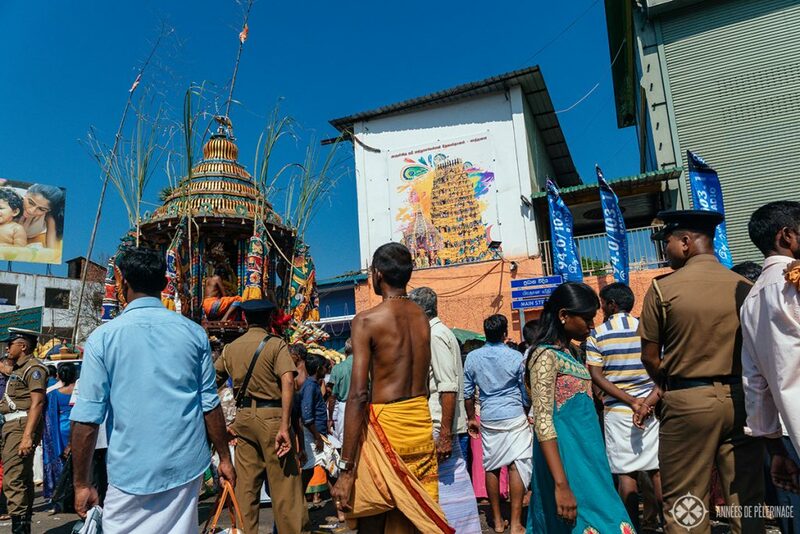 The disagreements between the Tamil minority and the Sinhalese majority is not totally off the books – but it’s not a bloody conflict any longer. The matter, if the late Sri Lankan government committed genocide or not, is still not settled, though the Permanent People’s Tribunal unanimously found it guilty in 2015. But I’m not sure how much you, as a tourist, should worry about that sort of things. You will notice quite the military presence in Sri Lanka. There are barracks all over the country and, when interacting with locals, you will meet many retired veterans. My driver on the last trip was one, for example. Also, there are special tourist police stations along the South coast. That being said, I never ever witnessed any sort of conflict during my stay in 2019. It might also be important to note, that the formerly Tamil controlled areas are in the North and not in the tourist centers in the South and the highlands. If you stick to my Sri Lanka sample itinerary, only Willpatu National Park would get you in the formerly contested regions. But there is really nothing to be afraid of. In fact, that very national park (which happens to be one of the very best in Sri Lanka; read about the other Safari parks here), was closed for quite a long time. It’s open now, and perfectly safe to visit. But due to the decade long strife, the North of the country is more or less off the radar. Which actually is a chance, as they are still pristine without 20 tourist buses waiting in front of every attraction. Now, here comes the bad news. On Easter Sunday 2019, terrorists targeted Christian churches and some 5-star hotels, which resulted in 310 deaths. This was after my last visit (1 month to be precise), and I want to be frank with you: I got no idea how I should rate this incident. It’s severe, to say the least. I found this interview with an expat that might give you a better impression. 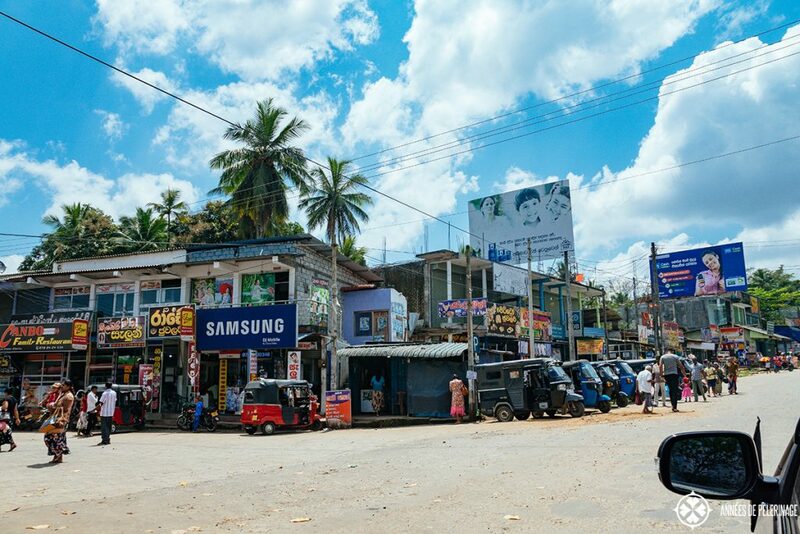 It seems that the ancient disagreements between the Tamil minority and the Sinhalese majority is not your major concern, but the Muslim minority (about 10 percent) – especially as they seem to be targeting tourists as well. That’s why I would carefully listen to the current advice from the Ministry of Foreign Affairs. Their travel warnings (or lack thereof) are usually on point! Usually, major terror attacks like these lead to tight surveillance and strict police presence. So, maybe now is the safest time you could visit. But with terrorism, nobody is ever going to know. As there have been warnings by the Indian government, in this case, there is hope these warnings are heeded in the future! Should you postpone or cancel your Sri Lanka trip now? Tough question: From an ideal point of view, you should never give terrorism leverage on you, and by canceling, you’d do that. But, individually that advise sounds a bit rote. I’d put it like this, if you are currently still in the process of planning a trip, I’d definitely wait for the situation to stabilize in a permanent way, and you know what you are up to. That being said, I would like to highlight, Sri Lankan crime statistics are well within the ordinary you might expect in any civilized state run by a more or less competent government. Housebreaking, cheating, robbery and causing hurt by dangerous weapons being the most common concerns. There also have been 452 cases of homicides in 2017. To give you a good feeling for these numbers: It’s about half the rates observed in the United States (5.35 homicides per 100,000 inhabitants in the U.S. versus 2.55 in Sri Lanka). So, essentially it is probably twice as safe to visit Sri Lanka than staying at home in the U.S. – at least going by numbers alone. Setting these kinds of comparisons aside, there has been an uptrend in housebreaking, especially guest houses and hotels. Which means you should definitely put your valuables into the strongbox of your room, look doors and close windows, etc. while you are away. But hey, that’s just common sense! The bottom line, however, is: There is probably still nothing to be afraid of (other than the general dangers of travel). I bet you a dollar that out of 10 travelers 9 will be extremely bewildered if you’d ask them if Sri Lanka is safe or if a city like Colombo is safe. Most of the people you ask will, however, be somewhat shaken by the recent terror attacks and probably not know how to assess these. I personally believe in the good in the people of this world, and I don’t think there is any country on this planet that is truly unsafe. It’s never the whole populace committing crimes and almost always a minority. 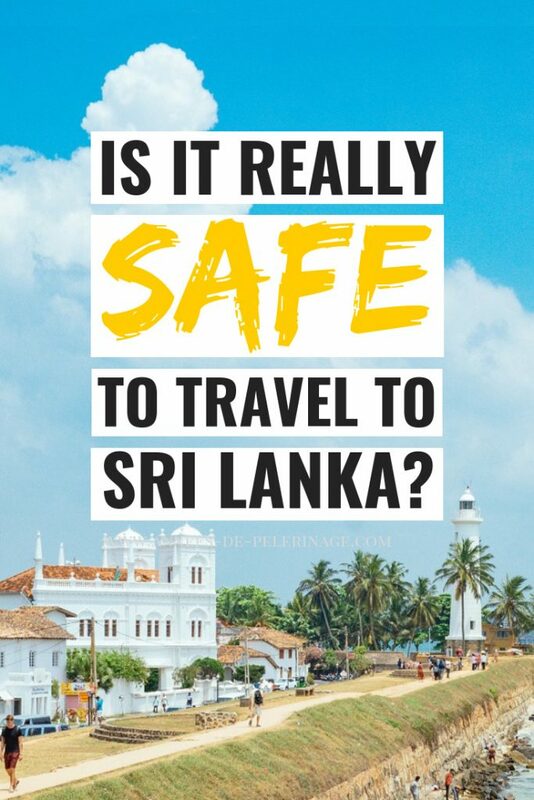 So, to me, asking if Sri Lanka is safe is a bit like asking if it is safe to breathe. Still, there are some dangers in Sri Lanka you should be aware of! First of all, let’s talk about traffic. Half of the bus drivers in Sri Lanka are suicidal! I’m not joking. It’s sort of the survival of the fittest. They’ll overturn three minivans on a steep mountain road right before a very narrow U-turn at 100 miles per hour without a clear line of sight. It’s utterly crazy and sadly the cause of many accidents. 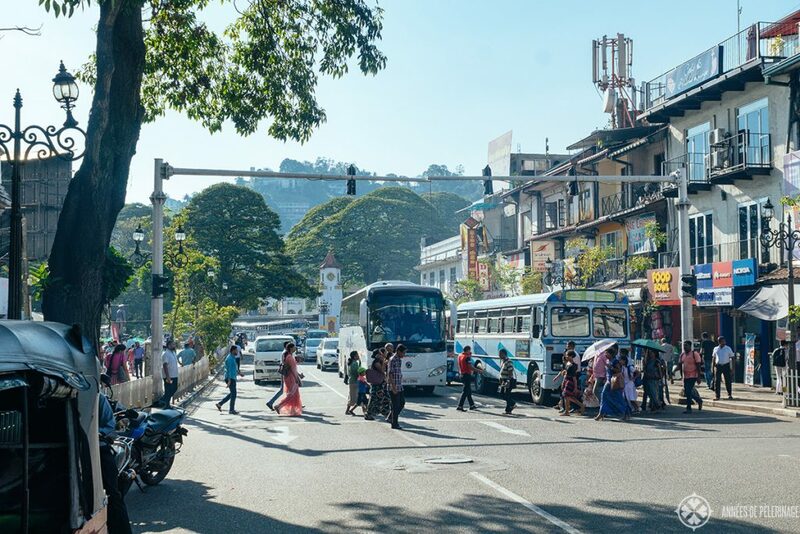 The problem about buses in Sri Lanka: The driver who gets first to a certain bus stop will get all the passengers, while the second usually gets almost none. So there is a huge competition between the different buses. 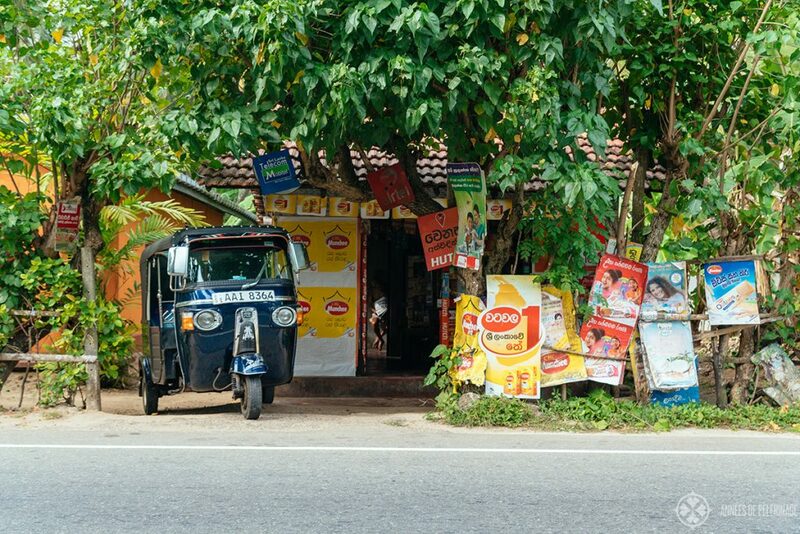 Taking a bus is probably your worst fear in Sri Lanka, and I’d recommend you to stick to taxis or trains if you are on a tight budget. 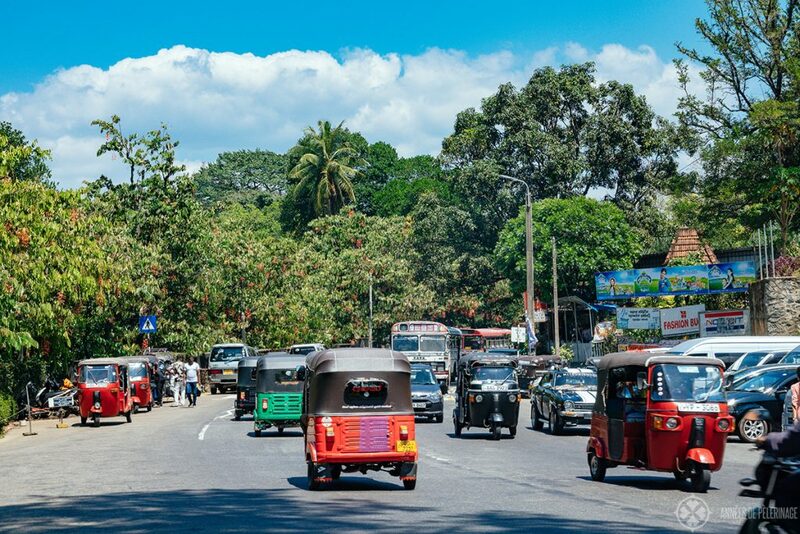 Otherwise, the traffic in Sri Lanka is within standard limits, though different. Most people drive in a way like they are expecting you to give way. So, when they have a chance to overtake a slow tuk-tuk and they see you, on the opposing side of the traffic, got 2 meters of road left on your side, they’ll go ahead expecting you to move as well. It’s very different from the traffic in the U.S. or most countries in Europe. On your tour through Sri Lanka, you will involuntarily end up in a spice garden. Sri Lanka is famous for its cinnamon and other fragrant condiments. In these gardens, they’ll show you how they grow and process them, and will guide you through a shop at one point or the other. While there are some exceptions, you’ll almost always end up buying poor quality products at inflated prices. 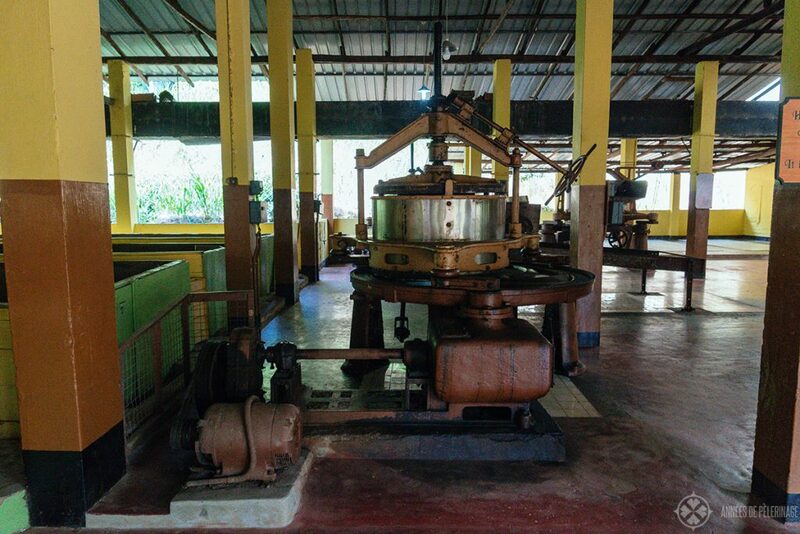 The same applies to most tea factories, where you’ll not always get the best quality either (they are mostly reserved for export). I’m not saying you shouldn’t visit these kinds of venues. They are interesting enough for first-time visitors, but the products are not necessarily worth their money. 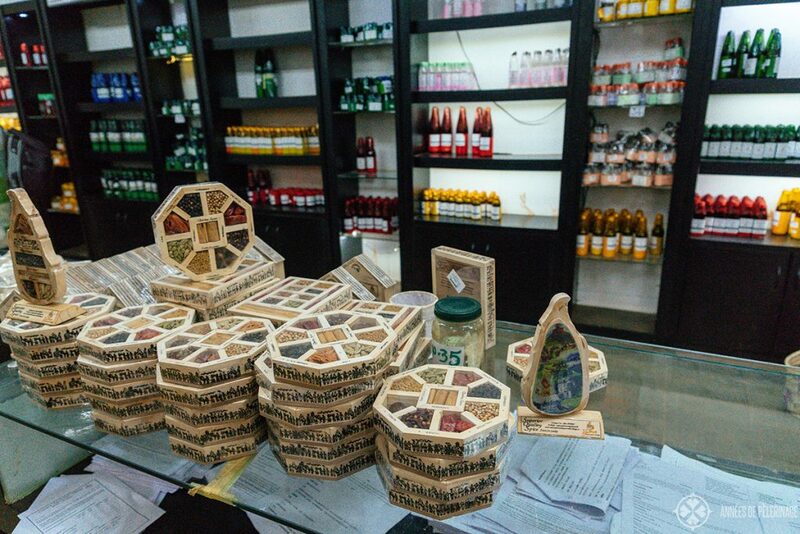 If you want spices or teas, go to a local market or supermarket. It’s cheaper and better. Not necessarily out of malice, mind you. 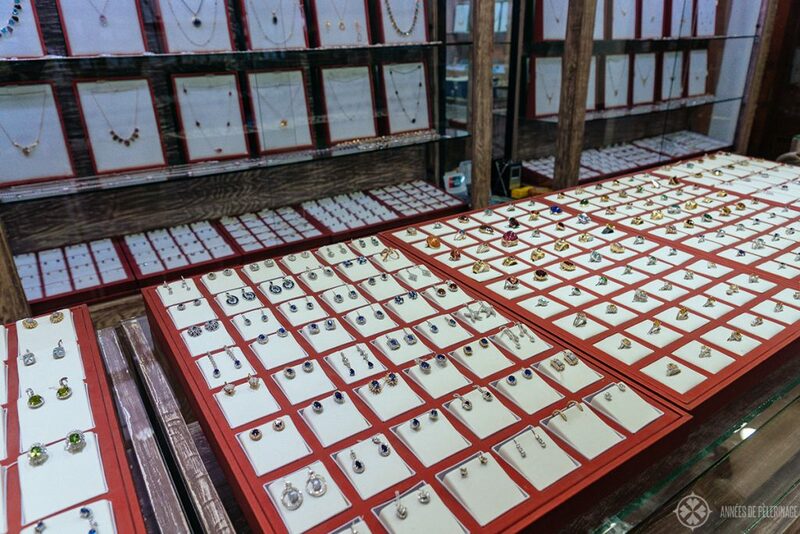 They don’t only find investment grade stones and certainly want to sell the other stones as well. So, be careful. Any shop that has a museum or a video tour should raise your hackles! 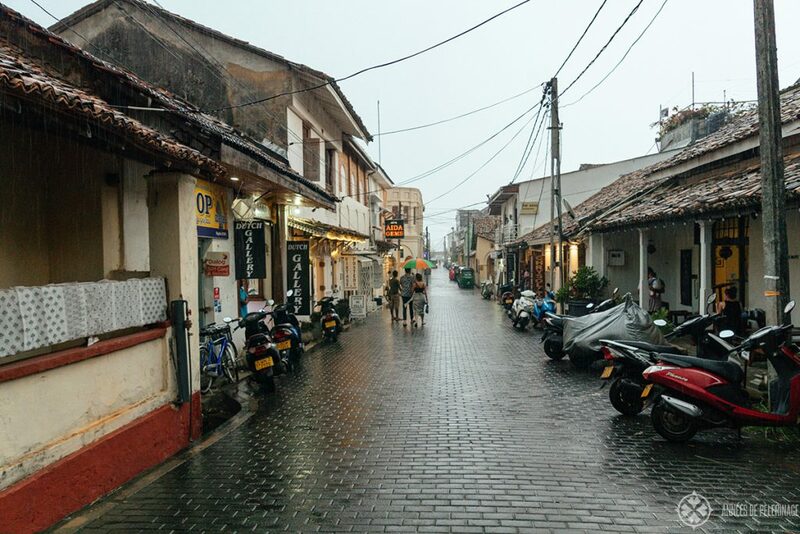 I found Galle (click to read my guide) to be the best place to shop for souvenirs of any kind. A lot of these venues will also have special resting areas for your driver. This too is a clear indication that you are about to run into a tourist trap. When we are talking about travel safety in Sri Lanka, I think it’s important to note the climate as well. Sri Lanka can be extremely hot and humid in the high season. Very good sun protection is a must but also staying hydrated. Climbing the Sigiriya Lion Rock is actually no joke. While I didn’t think the climb itself was very hard, it had me sweating so much my white shirt was soaked through to a degree where you didn’t actually notice it anymore because all areas were wet. You’ll often see locals running around with umbrellas, even though it’s not raining. I found this to be a very good method to keep the worst of the sun away while walking through the city on a hot and sunny day. Sri Lanka is a surfer’s paradise. There’s almost always a stiff breeze cooling down the beach areas, but the waves are equally high. The currents can also be quite unpredictable, so swimming in the Indian Ocean does have its dangers. Now, that doesn’t mean you can’t take a dip, quite to the contrary. But sticking to the bigger public beaches is a good idea and if you are not a decent swimmer you should definitely be extra careful. There are quite a lot of mosquitos in Sri Lanka, and, sadly, Dengue Fever is an increasingly big problem – especially in the western provinces. If you develop flu-like symptoms, you should definitely go see a doctor. 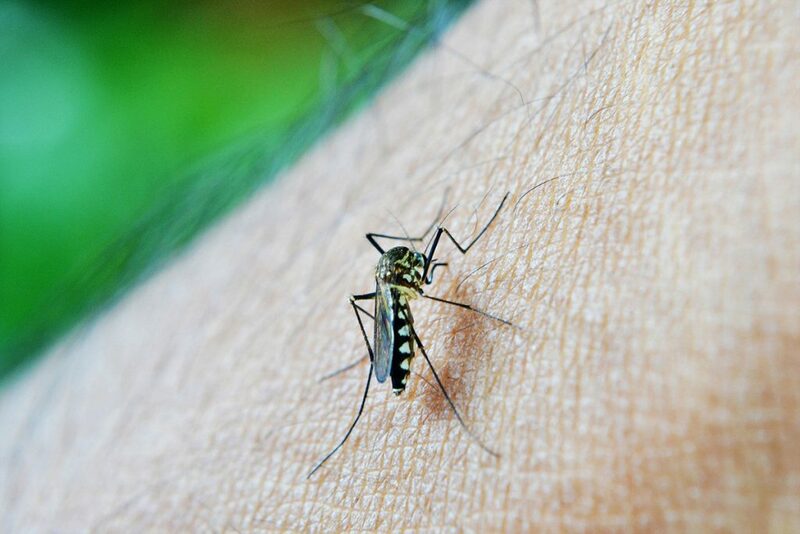 Know then, that it takes 4-7 days after a bite for the symptoms of the Dengue Hemorrhagic Fever (DHF) to show. According to the WHO, 80,732 cases of Dengue fever have been reported in Sri Lanka in 2017 – 215 of those ended in death. So, this is really nothing to joke about, but rather easy to prevent. First of all, the Dengue fever season coincides with the peak of the monsoon reason, you should try to avoid anyhow. Then, a good Deet insect repellant is a must, and neutral-colored clothing will also go a long way. Please be aware that you should apply the repellant 20 minutes after your sunscreen. Most hotels and guesthouses will offer insect nets for the night. Last, but not least, you should be aware that cyclones and extremely heavy rainfalls are a possibility during the rainy season (July – October for the Southwest and December to March for the Northeast). Another reason why you should probably stay away from the rainy season. Is Sri Lanka safe for single female travelers? A word of caution before you read this passage: I am not a solo female traveler and can only share my second-hand observations. 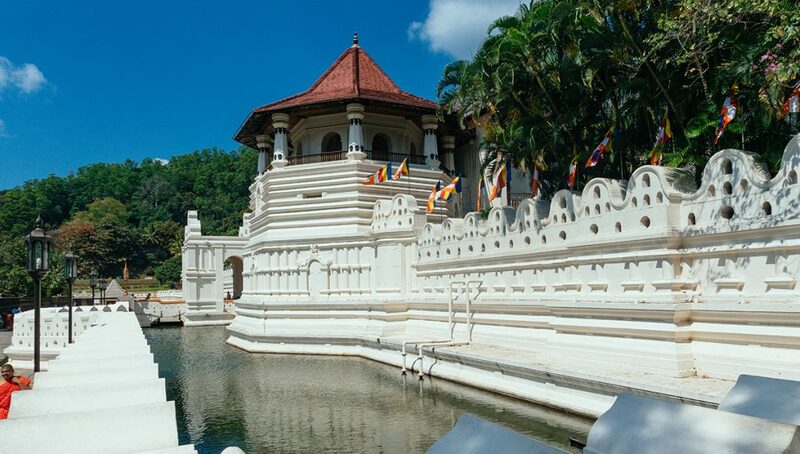 I experienced Sri Lanka as a lovely country with friendly and open-minded people. I saw a lot of young couples traveling the country, but quite some solo travelers as well. All in all, I’d say Sri Lanka is safe for solo female travelers (or men for that matter). 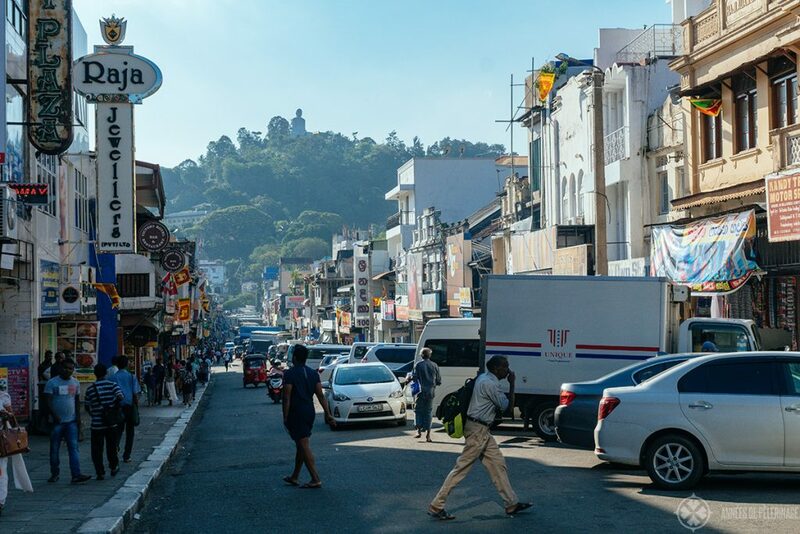 That being said, a lot of the local men are quite contact-friendly – especially around the more touristy areas in the South and Kandy. As a solo female traveler, you should not expect walking down the street and not hearing the occasional call, or sometimes somebody following you more insistently. If you can’t cope with that, then probably better stick to central Europe for your first solo female trip. Like in an awful lot of other countries (including probably your home country), sexual harassment is an issue. The Sri Lankan authorities installed a special number (dial 1938) to report sexual harassment. Generally speaking, I don’t think it will be a problem for any solo female travelers – as long as you keep your wits about and stick to a few golden rules (like not venturing out alone at night, locking your door, no tight crowds, etc). Also, keep in mind, that getting a driver guide is fairly cheap in Sri Lanka (not an option if you are on an ultra-tight budget). For 70-100 USD a night you can get a dedicated driver to show you around the country and we will be your protective shield. Traveling through Sri Lanka as a single female is entirely doable. That being said, google “sexual harassment Sri Lanka” and I’m fairly sure you will find a lot of atrocious stories. But, please keep in mind that you (sadly) could insert any other country on this planet and you would probably find similar stories. You will, however, find probably more stories of women who stayed in Sri Lanka for a month or more who had the times of their lives. In short: It’s important to come prepared, and you might need a thick skin at times, but otherwise, Sri Lanka is safe for you. If you’d like to find out more about travel safety in Sri Lanka for solo female travelers, please ask a girl (which I am not :P) who was there. During the Sri Lankan civil war, terror attacks have been a very popular (what a horrible word to use) method to further political aims, especially by the Liberation Tigers of Tamil Eelam (LTTE). There is quite an unpleasant list on Wikipedia. 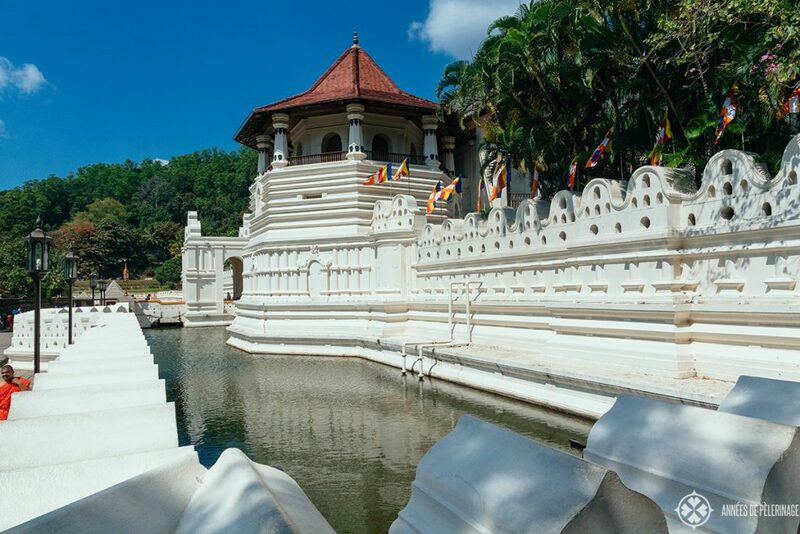 If you go to Kandy and visit the Temple of the Tooth, most guides will point you towards the new entrance. The original fell victim to a particularly violent terror attack in 1998 that resulted in 16 deaths. It is equally important to point out that ever since 2009 no further terror attacks have been observed – until April 21st, 2019. The resulting peace has often been described as precarious, but it turned out to be quite lasting. Now, it seems religious fanatics are trying to use the tranquility to further their aims. The good news: While the various checkpoints throughout Sri Lanka weren’t in use in the past years, Sri Lanka has an excellent military infrastructure. I’m actually quite positive the government will be up to the task to bring the country back to lasting peace. It’s hard to predict the future, really. Terrorism, sadly, is a concern all over the world, and Sri Lanka is apparently no exclusion any longer. Like I said above, I would head the current warnings of your government and probably not visit any churches for quite some time – especially during services. So, is Sri Lanka safe for visiting? I hope I was able to give you a good overview. Got any question? Ask them in the comments below. This post is really useful I’m going to present it to my partner. He always put off visiting Sri Lanka as he thought it was unsafe due to the war. I will pitch it to him this evening about our next travel destination why we should go. Ha.